There are many reasons for taking amino acid supplements. Let the information provided by LoveToKnow Vitamins show you the various functions of amino acids and their influence on your health. Overviews: Learn about specific different amino acids such as glutamine or acetyl l carnitine to determine what they may do for you. Benefits: Learn what specific benefits you may expect from taking amino acids such as L-arginine. Guides: Get lists of the most essential amino acids as well as guides to things like branch chain amino acid supplements. Side Effects: Learn what side effects you may expect when taking different amino acid supplements such as L-arginine or phenylalanine. 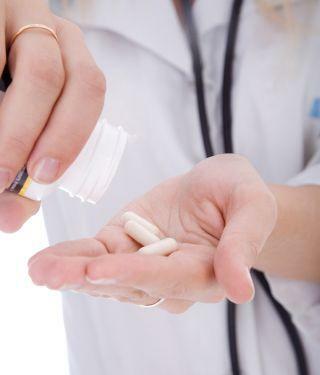 Safety: Side effects are not the only concern that you may have about a supplement. Learn about the relative safety of taking amino acids such as L-glutamine in supplement form. Dosage: Find out the right dosage to take supplements like 5 HTP or arginine in so you can derive the most benefits from them safely. With the right information, you'll derive the most benefits from your amino acid supplements. Work with your health care professional, get informed and make the best decisions for your health.